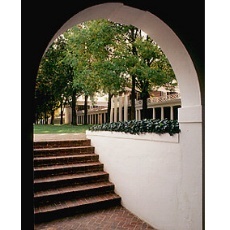 The University of Virginia Club of Tidewater is open to all graduates of the University of Virginia and their families. The club has several levels of membership and the membership year runs from July 1 to June 30. Members of the Club receive mailings to update them on Club activities and can participate in Club sponsored committees designed to promote The University in the South Hampton Roads community. The Club sponsors a Crab Feast, Oyster Roast, the Great Big Pig Gig and football and basketball viewing parties. Family Sponsor. The Family Sponsor membership is $75 a year and entitles a member and immediate family to attend all regularly scheduled Club social activities without paying to door charge. The Club occasionally sponsors special events that are not included in the Family Sponsor membership. Sponsor. The Sponsor membership is identical to the Family Sponsor membership except that it is available to individuals only. The cost is $45 a year. Regular Membership. This level of membership keeps alumni informed on Club events and provides discount admission to regularly scheduled Club events. The cost is $25 a year. Recent Graduate. This specially discounted membership is available to graduates of the University of Virginia who have taken their degrees within the last three years. In all other respects, it is identical to the Regular Membership. This cost is $15. the University of Virginia Club of Tidewater, P.O. Box 1572, Norfolk, VA 23514.